The podcast that explores the world of Doctor Who comics. The final part of our Torchwood: Rift War Review. A quick follow up from yesterday as we a take a fan’s response. We review the first three episodes of Smith era Doctor Who. We’re also trying out some new tech so some technical difficulties do occur but luckily for you, most of them occur off mic. Part three of our Torchwood: Rift War Review. Part two of our Torchwood: Rift War Review. Part one of our Torchwood: Rift War Review. In preperation for reviewing the Rift War Chad and I ended up talking too long about nothing and it filled up an episode of its own. Also, It’s Chad’s Birthday! send him some love. Chad and I talk about the future of Vworpcast. A clip from Tennant’s MTV interview where he talks about Dr. Who comics! Vworpcast RANT- The Real Vita! I review both parts of End of Time as well as introduce you to the real Chad Vita. I go off topic and explain where I’ve been and where I will be. I also take the opportunity to give my reactions to Sarah Jane Adventures: The Gift, Dreamland, and Waters of Mars. 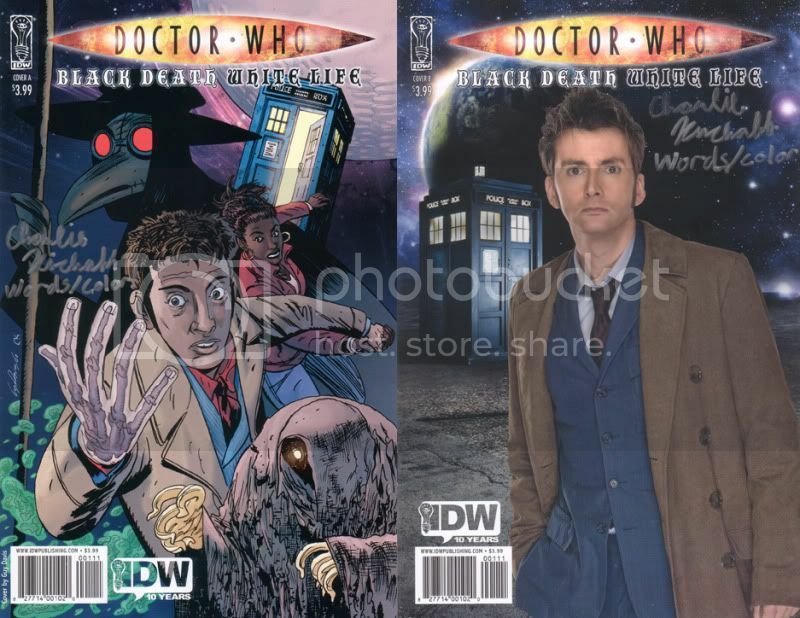 A few places where you can find your Doctor Who comics. I describe all the Doctor Who graphic novels that are currently available from Panini publishing. I describe all the Doctor Who graphic novels that are currently available from IDW publishing. I’m just introducing the new intro for vworpcast as well as showing off a trailer for the show. In this episode Charlie Kirchoff goes it alone and stutters his way through a recap of “The Deep Hereafter” comic from Doctor Who Magazine #412. This is a preview episode that briefly outlines the mission statement of the show as well as introduces the host, Charlie Kirchoff, and why he has chosen Doctor Who comics as the topic for this podcast.